​​It’s a Trial! is a unique performance fusing courtroom drama with community theatre - a theatrical forum to discuss social issues. Staged like a genuine trial and loosely following real court procedures the show stages a serious debate through absurdly funny characters. As part of the performance, audience members are invited to act as the members of the jury, sketch artists in the press box, or simply watch from the public gallery. 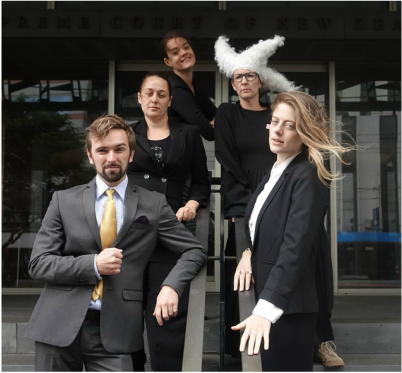 It's a Trial was originally created and performed at BATS Theatre in April of 2016, putting the TVNZ Kiwimeter quiz on trial over five nights.